After saying goodbye to 2013, it’s important to look forward at the special occasions lined up for the year ahead. Valentine’s Day 2014 is coming up and if you haven’t thought of anything yet to woo your love on the special day, there might not be a need to brave the throngs in flower shops or gift stores at the last minute as your smartphone provides plenty of ways to show your affection. On a busy day like V-Day, it can get stressful to make a reservation at your loved one’s favorite restaurant. OpenTable makes sure you don’t have to stand in long queues by allowing you to make reservations directly through the app. 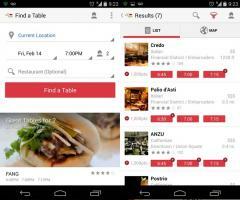 Also, you are able to select a restaurant based on budget, location, type of food and time availability. After selecting a particular restaurant, you can read its reviews, see the top dishes, browse through the menu and check if there are any parking spots available. You can also include a special request like ‘I’ll like to surprise her/him’ and add reservations to the phone calendar. Tom and Angela have been quite popular with smartphone users over the years, and they present a great option to express your love on V-Day. 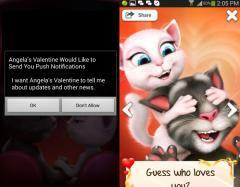 The app includes romantic audio music and also allows users to stay notified with updates and other news. You get to choose from 10 different postcards to send to your loved one and the postcards can also be shared through email and on Facebook and Twitter. The latest version of the app allows you to set a unique ID and password. 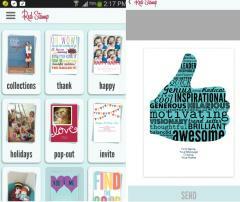 This app lets you send personalized photo cards directly from your smartphone and the photo feature allow you to create customized cards to be sent to multiple recipients. 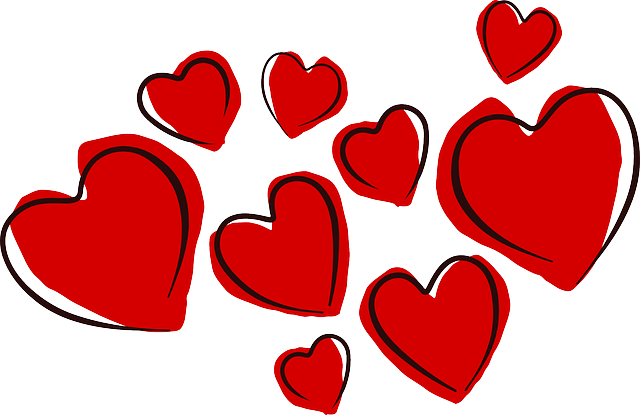 You can select and edit from a list of pre-made designs and select from the 600 greeting notes available on Valentine’s Day. You do have to create an account before you can get started with the use. Other than that, sending of cards requires a mere press of a button; all cards are printed on eco-friendly stock paper, and there are options to include envelops with the postage and address printing. Premium design costs $0.99, while print + mail delivery costs $0.49 to $1.99. Prices go upwards near Valentine’s Day, so you can keep tabs on great deals weeks in advance through the LivingSocial app. It comes with a beautiful layout and lets you see the details of different deals, their quantity and the time left to take advantage. You can jump in on any of the deals by tapping the buy button at the bottom of the interface. This app also requires a creation of an account before you can access the full features. The search option lets you enter different cities to select appropriate deals near your locality. Moreover, you can manage credit cards through the Settings option, which can be brought up by tapping the App Drawer. 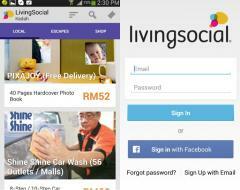 LivingSocial is an ideal app to give thoughtful presents for V-Day, and save money during the process. Floralapp can be the first-choice when it comes to sending flowers on Valentine’s Day. The app allows for sending of gifts and flowers with the same day delivery date, and the best feature is that the flowers are designed by a real florist. An account has to be created and then you can select from lilies, daisies, orchids, roses and many other type of flowers. There are also options to send out a card message with the flower or gift, and an optional box of chocolates, teddy bear or balloon can be included as well. 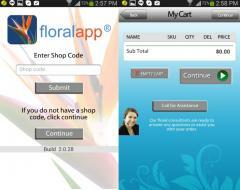 Users can also apply discounts received from local flower shops or the app itself. You can pay either via credit cards or through your PayPal account. Mellisa Burke is the app marketing manager at International Reviews. Her hobbies include hunting down apps that can bring excitement in lives of couples and parents. You can connect with her on Google+.